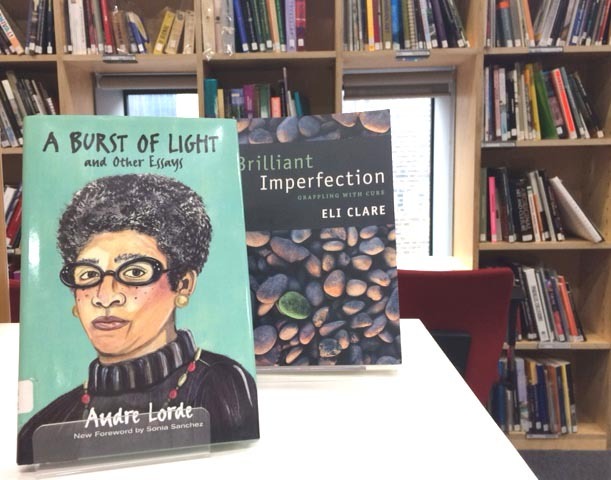 Join us for a discussion around the concept of 'cure', and its relationship to radical self-care, through the writings of Black lesbian poet Audre Lorde and queer disability activist Eli Clare. Following on from Fresh New Anxieties’ Research Network event around practices of sustainable self-care and developing professional frameworks in relation to chronic health conditions, disability and neurodiversity, we will be reading two writers who foreground the politics of the medical-industrial complex. I gave a brief talk tonight on ‘Sisterhood and Survival’, what it means to me. And first off I identified myself as a Black Feminist Lesbian poet, although it felt unsafe, which is probably why I had to do it. I explained that I identified myself as such because if there was one other Black Feminist Lesbian poet in isolation somewhere within the reach of my voice, I wanted her to know she was not alone. Poet Audre Lorde’s prose diary entries, from A Burst of Light: Living with Cancer, document her second cancer diagnosis and the years after. It follows how she deals with the diagnosis and her decision not to undergo chemotherapy, both intellectually and practically, and the politics of care for herself and others. How would I, or the medical-industrial complex, go about restoring my body-mind? The vision of me without tremoring hands and slurred speech, with more balance and coordination, doesn’t originate from my visceral history. Rather it arises from an imagination of what I should be like, from some definition of normal and natural. In Brilliant Imperfection, activist and poet Eli Clare uses intersectional thought – around race, disability, class, gender and environment – and autobiographical examples, to analyse the concept of cure. The chapter Ideology of Cure critically examines dominant ideas about what constitutes ‘normal’, ‘natural’ and ‘health’ in relation to ‘cure’, while the chapter Structure of Cure analyses the medical-industrial complex that monitors and determines health, well-being and cure from before birth until after death. This group is open to all, it is a supportive and peer-led space for thinking and learning together. It is a space for constructive disagreements and critical engagement, that is always based on mutual respect, interest and care. All readings are read together in the group, you don’t need to read them in advance. Please contact the library if you have any questions or wish to pick up a copy of the text in advance: library@iniva.org.